For Beginners – This guide is very detailed, yet very easy to follow – even for a non-tech savvy person. A Step by Step Guide – This guide is for new freelancers who wish to create their first blog or a portfolio website. You Can Ask For Help – I offer free help via email. I’m more than happy to get all your questions answered and clear up any doubts that you may have. We will complete the process of setting up a blog or a portfolio website or both in 3 simple steps. On top of that, I have added all the answers to every question I can think of, or my blog readers have asked in the past. 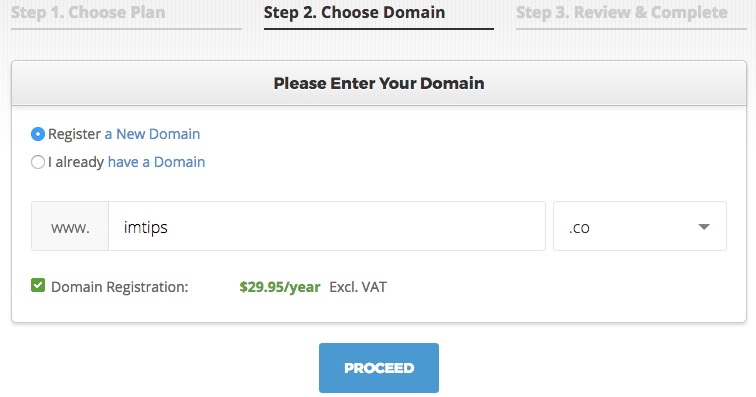 Why I need a domain when I can set up a free website? How to get a domain name and hosting? Blogger Vs WordPress – Which is Better? How can I get started with WordPress? How to get a Custom Design for a WordPress website? How to Install a Theme in WordPress? What should I add as content to my portfolio website? How to add pages to WordPress? How to add the pages to the menu? How to add posts to WordPress? How to set a static home page? How can one install plugins in WordPress? A domain name – A website address like yourpreferredname.com which is registered in your name and is unique to you. Host – A service to connect your domain name accessible over the Internet via a browser. When anyone types the domain name in a browser, it will show the desired content. One can set up a website on a subdomain like yourpreferredname.free-website.com, but it is never recommended to use a free sub-domain. Let me share why. Doesn’t look professional – ‘YourPreferredName.com’ looks more professional than ‘YourPreferredName.free-website.com’. For a moment act as a customer and consider what you will prefer? yourpreferredname.com or yourpreferredname.free-website.com. As a customer, if you don’t favor a subdomain, why should your clients and customer will? Missing Extra Features – When you own a domain name, you can create your email addresses such as @yourpreferredname.com which you can’t on a free subdomain. Apart from being able to create your email addresses, you have control over the site; you can opt for fast hosting, provide better user experience and can upload a custom design. Limited monetization Option – As and when you want to monetize a blog, the limitation of the provider of the sub-domain will weigh heavily. 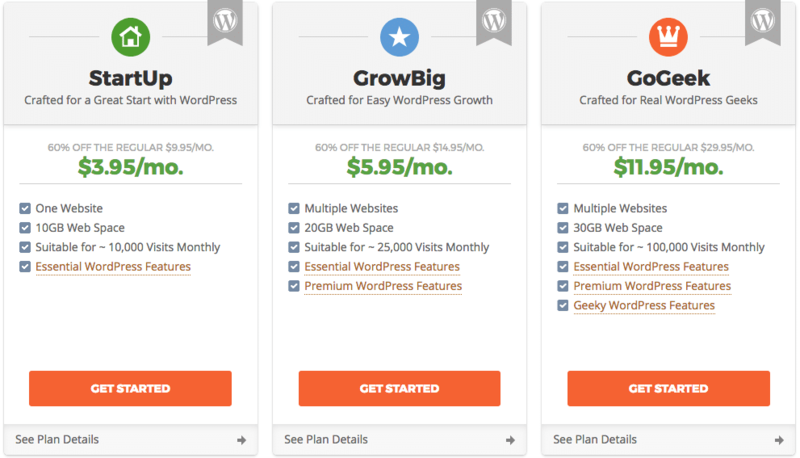 As an example, if you are using a WordPress.com subdomain, you won’t be able to monetize it via AdSense and can only use WordAds a feature by WordPress for monetization. If you’re forming a team and want to be forming a company, your domain name should match your company name. Take for example ‘CompanyName.com’. But if ‘.com’ isn’t available, opt for ‘CompanyName.net’ or ‘CompanyName.co’. If you’re planning to go solo, have a personal website and use ‘YourName.com’. My preferred domain extensions are .me, .co, .com, .net and .in. And I generally tend to avoid longer domain extensions like ‘.net.in’ or ‘.co.in’. Coming up with a good name can be a bit tough since there are millions of active domain names in the world right now. But don’t give up. Keep digging till you have found that perfect domain name. I have chosen ‘IMTips.co’ as my blog’s domain name because I liked the short names. This is my personal blog so I also have a domain for my full name shabbirbhimani.com that redirects to IMTips.co. Every host offers the option of registering a domain and host it for you. It is a smart choice to have both the domain and hosting with the same host when one is starting out. IMTips is hosted with SiteGround and their hosting is very simple and easy to get started with. I will share screenshots with details of every step to help make the process simpler for you. SiteGround offers multiple plans. Select the plan that best suits you. The ideal choice to start with will be the GrowBig plan because it allows multiple domains and websites. If you don’t have a domain, enter your preferred choice of name to register. If you already own a domain, you can keep using the same domain and point the DNS Servers to SiteGround. Proceed to finish creating your new account. Once your account is active, let us proceed to step 2 and set up your first website on WordPress. Note: You are only shown an option to make payment via a credit card in USD. But, if you prefer using a PayPal account that accepts INR, you have to get in touch with the support. We now will use WordPress to set up the website. People often classify WordPress as a blogging platform but it has evolved into a complete content management system or CMS. You can still use WordPress to create a blog but it can do a lot more than just a blog. 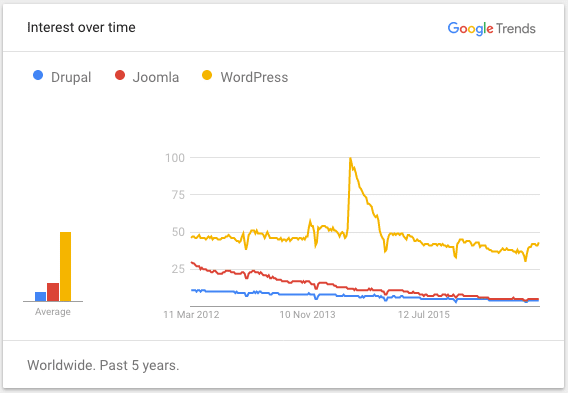 WordPress is uber popular and is way above its competition. More than half of the total websites on the Internet are powered by WordPress. Yes, you read it right – half of the total websites on the Internet. Totally Free – WordPress is totally free to download, install, use, redistribute and modify as per the need. Easy – WordPress is very easy to use (as we will see in step 3) and manage. Even a nontechnical person can easily manage a WordPress website. Simple to Learn – WordPress has vast documentation, a helpful community and tutorials to make learning very simple and easy. Safe and Secure – WordPress is a very popular CMS. So, it’s a target for hackers as well. However, WordPress takes the security of its users very seriously and constantly updates to safeguard users from attacks. Adaptable to Different Type of Sites – WordPress has evolved from being a blog platform to being a complete content management system that can manage and create different types of websites like an eCommerce website or a membership site etc. Extendable with Themes and Plugins – There is a WordPress theme for just about every kind of site and there is a WordPress plugin for just about every kind of functionality one can ever imagine. Responsive – WordPress themes are mobile-friendly, tablet-friendly and are able to adapt to any device. Search Engine Friendly – WordPress out of the box is SEO friendly. Yet one can make it, even more, SEO friendly by using various SEO plugins. Social Media Friendly – WordPress has all the needed features to make it easy for users to share content on social media. There aren’t any better alternative ways to build a website than WordPress. Though Blogger is by Google, still it isn’t as Good as WordPress. No Control – Even if Blogger can be used for a domain and server, you aren’t in the total control of the back-end software. Everything is owned by Google and the day they decide to stop, you are left with no choice. Don’t forget Google killed their popular services like Google Reader or FeedBurner. No Active Community – The Blogger community after being acquired by Google hasn’t been as active as the WordPress community. So there aren’t many good plugins available to customize a Blogger blog. Limited Choice of Design – There isn’t any choice of themes to make Blogger blog not look like a typical blog of listing posts in reverse chronological order. Comments – Comments are mainly handled by Blogger (aka Google) and you have very little control over them. Permalinks – No control over the site links structure. You can have post’s URLs without a year and month parameter in it. Blogger by Google isn’t a CMS – Blogger can only be used as a blog and not as a CMS or a portfolio website. Whereas WordPress can be used as a complete website. So Blogger isn’t used as a complete content management system like WordPress. Doubtful Future of Blogger – Blogger hasn’t seen any major update by Google for a very long time despite being overdue. It seems the software is dying the natural death and Google is allowing it as well. No major blog apart from Google’s own product blog are on it because of its limited use. There are two ways to install WordPress. Ideally one should be using the automated installation provided by SiteGround but one an also do a manual installation. I won’t get into the technical aspect of manual WP installation. 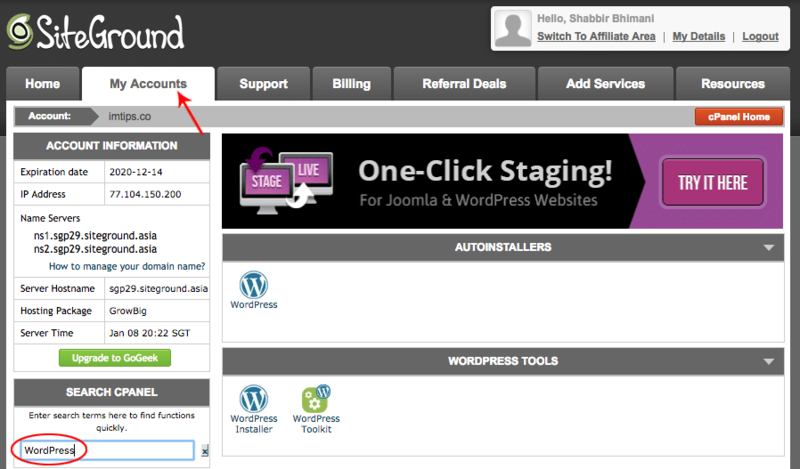 For WordPress, you are sure to find “1-click-WordPress-installation” option in the hosting control panel. Search for WordPress in the control panel’s ‘quick find’ and you will see an option to Install WordPress. It will provide an option to select the domain where you wish to install WordPress. Once you select the domain, you can specify a directory where you want to install WordPress. Leave the directory field as blank in order to install in the root of a domain. Click Install and the WordPress installation will finish in few minutes. Note: Sometimes the installation script may give a warning “Install directory exists and is not empty. Please confirm that it is safe to overwrite any content in this directory”. Don’t worry about it, as it’s just the default index file that may be triggering the warning and it should be fine to overwrite. Congratulations on getting the WordPress website up and running. If one visits yourdomain.com in a browser, the default Hello world! post with the default WordPress theme is seen. But you don’t want to keep your website look like a default WordPress site. So you need a different theme – a design template that tells WordPress how your website should look. The next step is to get the perfect look for the WordPress website. The design of a WordPress website is a cake walk with ready-made themes. We don’t need to manually code each HTML or PSD anymore. Get a theme that suits your design needs and then drag-drop elements in the theme as per the options in the theme. Basically, a theme is a ready-to-use already designed template. Theme tells WordPress, how your website will look on the world wide web. WordPress itself offers 6000+ readymade themes for blogs, eCommerce websites, individual and corporate websites, portfolio websites and more. Every theme is free and can be downloaded from wordpress.org/themes. Search for a theme that suits you. Next, move to theme installation. If you didn’t find the perfect free theme, you can also go for premium themes at ThemeForest. Free themes are actually a good starting point. Once you are familiar with the themes, then you can go for premium themes. Log into your WordPress dashboard and type in: ‘http://yoursite.com/wp-admin’ (replace “yoursite” with your domain). Click the “Add New” button to bring up the WordPress themes interface that offers you the ability to search, preview and install any WordPress theme of your choice. Installing a theme is as simple as clicking the “Install” button. Once it is installed, click the “Activate” button to activate the theme. I suggest you spend some time browsing free themes and find the one that perfectly suits your design buds. Finding the perfect theme can take a while, but it’s worth it. Note: For a portfolio website, Parallax themes are best suited. Parallax WordPress themes combine single page design with parallax scrolling. They are best for portfolio style websites. So try hitting the term “Parallax” in the search box to see parallax WordPress themes. Introduction – Who you are or what your company does. Projects – A showcase of recent work. Testimonials – What your existing clients have to say about you. Contact Information – Ways to get in touch with you. You will find my work with me page follows exactly the same structure. You are free to copy the same structure. Remember if it is the first page of your site, too much textual content can be boring as well. Make it lively with some sliders and graphics. If you are using a parallax theme, all the above sections can become part of the home page in the parallax design. Note: If you wish to place a contact form, you will need to add a contact form plugin in WordPress. I have answered it in the questions how to install a plugin with the example of a contact form plugin. Do you want a Services page, About page or Contact page? Log into your WordPress dashboard and type in: http://yoursite.com/wp-admin (replace “yoursite” with your domain). Add the page title and page content which can be a mix of text, images, and videos. Once editing of content is complete, hit the ‘publish’ button. Note: If your page takes a long time to write (like this guide which is a WordPress page), you can save it as a draft. WordPress will also autosave the drafts for you as well. Once the page is published, you can add it to the navigation menu. Depending on your choice of theme, the placements of the menu can vary but the process to add an item to the menu remains the same. Check the pages that you want to appear in the menu and click on the ‘Add to Menu’ button. Drag the items to order the menu as you want it. Once done, click ‘Save Menu’. Note: To add a page as a submenu, drag the page and indent it under the parent page. If you want to add a blog, you can use posts. Your homepage can be a list of recent posts or you can select a static homepage and create a separate blog page that lists your recent posts. This is the power of WordPress and yet it is simple. Posts similar to pages have titles, and content but you can also organize the posts based on categories and add tags to them which isn’t the case with pages. Log into your WordPress and dashboard type in: http://yoursite.com/wp-admin (replace “yoursite” with your domain). “Front Page” is your home page “Posts page” is your blog page. You can choose any page that you have created as your front page or blog page. Most WordPress themes have a sidebar on the right side (in some cases it’s on the left) and some themes have widgets for every area of the site like the header, footer or sidebars. Drag and drop to add different widgets to your sidebar, or if you have items in your sidebar that you don’t want, you can remove them from here. Play around with the widgets and try adding and removing a few widgets and to see how things change on the front end. “Plugins” are extensions to expand WordPress’ capabilities, adding to your site features and functions that aren’t built-in. Installing plugins is pretty much the same as installing themes. Search plugins and click the “Install Now” button to install the plugin. Once installed, click the “Activate” button to activate the plugin. Contact Form 7 Plugin: Every website needs a contact form and you can add a contact form using the Contact Form 7 plugin. Search for “Contact Form 7” and install your first plugin in WordPress. Once installed, you can embed the contact form code ( found under the WordPress admin Dashboard left menu Contact > Contact Forms) in a new page and publish that page as Contact. After publishing the page, hook up the page to theme’s menu. There are more than 30,000 FREE plugins to choose from! Congratulations – you’ve launched your portfolio website! You now have a fully-functional WordPress website! This is not the end but a start in the world of opportunities with websites and WordPress. Let me know the website you just launched or if you have any questions, don’t hesitate to get in touch with me.